The last day of the 2018 Hurricane Season is Friday, November 30 and this year the Southeast Texas coast escaped a direct hit, but others weren’t so lucky. Hurricane Michael dealt a crippling blow to the Florida panhandle and Hurricane Florence ravaged parts of South Carolina. One Westbury resident knows all too well the long road to recovery that’s ahead for these hard-hit areas. 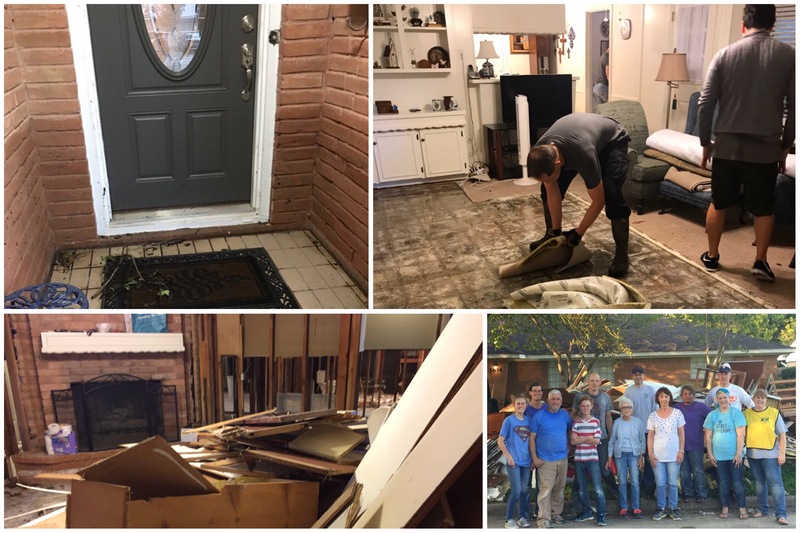 Betty rode out Hurricane Harvey at her daughter’s house in Sugar Land and around 4:30 a.m. on Sunday, August 27, 2017 she got a call from her neighbor who said the water was above her knees inside her home. That’s when the prayers started. “It was the most helpless, devastating feeling. I lost so many sentimental things. I’d saved postcards from my son (who has since passed) while he was in the military overseas,” Betty said with a tear welling up in her eye. 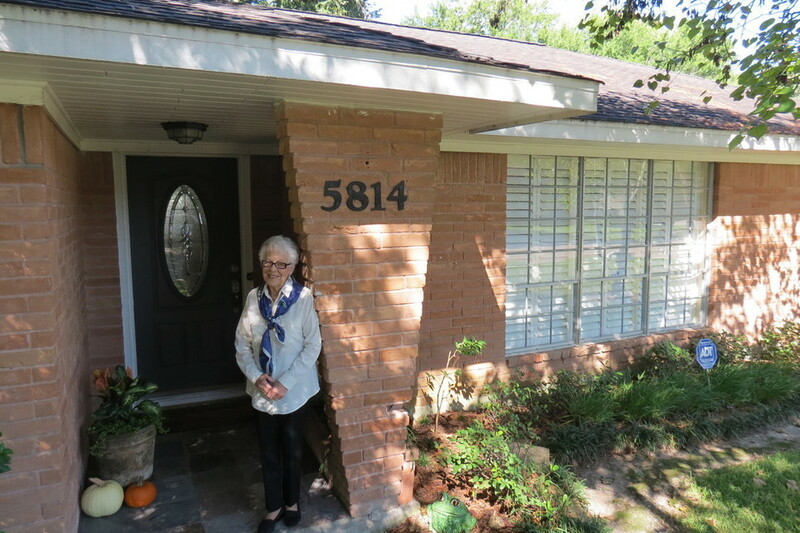 Betty had 27 inches in her 1960’s ranch-style home of 38 years. Miraculously, her dining room table and chairs weathered the storm along with two other items, but that’s it. The 87-year-old matriarch of the family had no flood insurance. 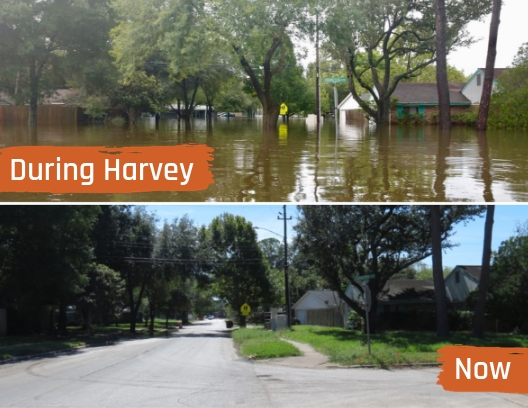 She applied for FEMA assistance four times and finally received $34,000, but it wasn’t nearly enough to pay for the six-figure restoration quote she’d received. Betty relied on the generosity of her fellow church members to get her carpet ripped out and house cleared out. Betty tried to applying for a loan to finish repairs, but got denied. Desperate, she called 2-1-1 Texas/United Way HELPLINE and in early December her prayers were answered when she connected with a BakerRipley Disaster Case Manager. Betty chose our Homeowner-managed Restoration route. Work started on paint, flooring, electrical, and trim in February and by May, she moved back into her home. 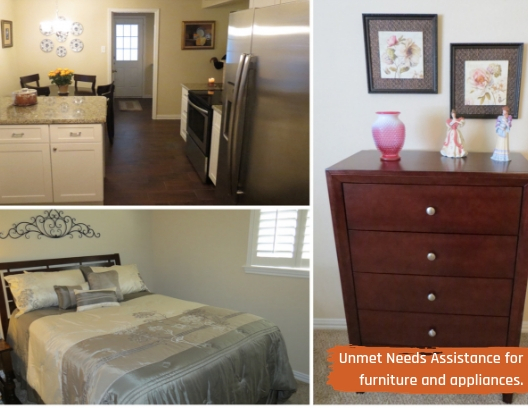 Betty also received Unmet Needs Assistance for a queen bed frame and mattress set, a bedroom dresser and refrigerator. Betty found the perfect way to thank everyone for their hard work and support. 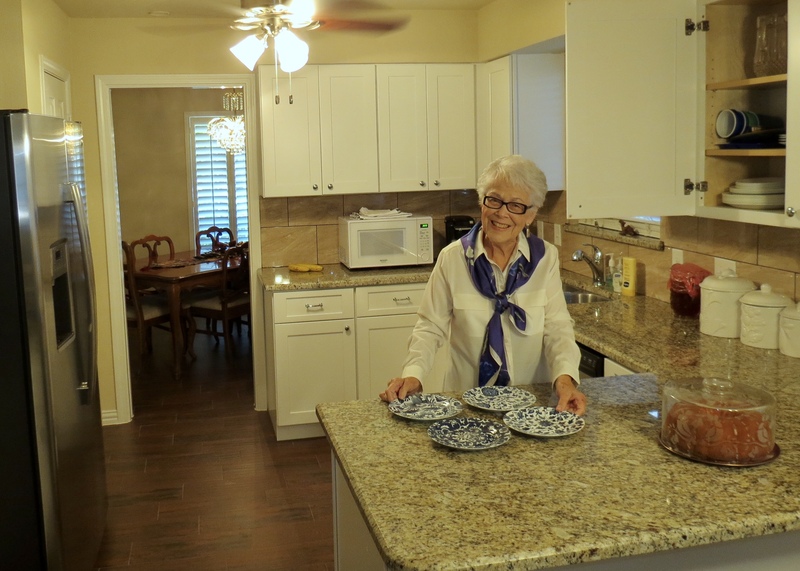 She held a house blessing complete with a few homemade sweet treats from this avid baker. She even invited BakerRipley staff! Those tough times are now in the past, thanks to prayers answered; it’s time to look to the future – in particular, the upcoming holidays. The family tradition of holding Christmas Eve at her home is back on this year and she can’t wait have everyone over to open stockings together again. 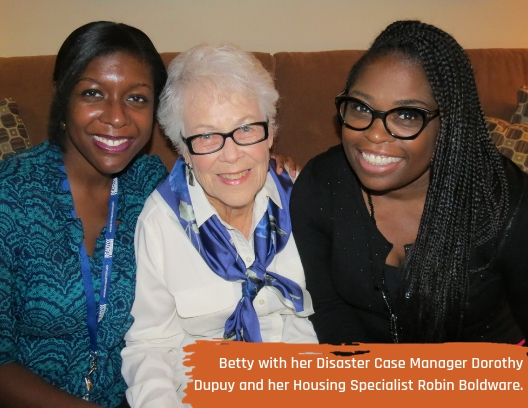 “I know I couldn’t have done it alone; with God’s help and many others, including BakerRipley, it is mission accomplished,” Betty said smiling.